Get to know your museum. Join us for artist talks, tours, conversation, workshops, artmaking and, more. All public programs are free, open to the public, and take place at the Rose unless otherwise noted. Academic and Public programs at the Rose Art Museum are supported in part by a generous gift from Ann Tanenbaum and in part by the Foundation for MetroWest. April 27, 2019, 12 p.m. - 4 p.m. Calling all art lovers! This Spring, take a special free shuttle from Waltham center straight to the front door of the Rose Art Museum. May 11, 2019, 12 p.m. - 4 p.m.
May 17, 2019, 5 p.m. - 7 p.m. The museum will be open late during Brandeis commencement weekend. 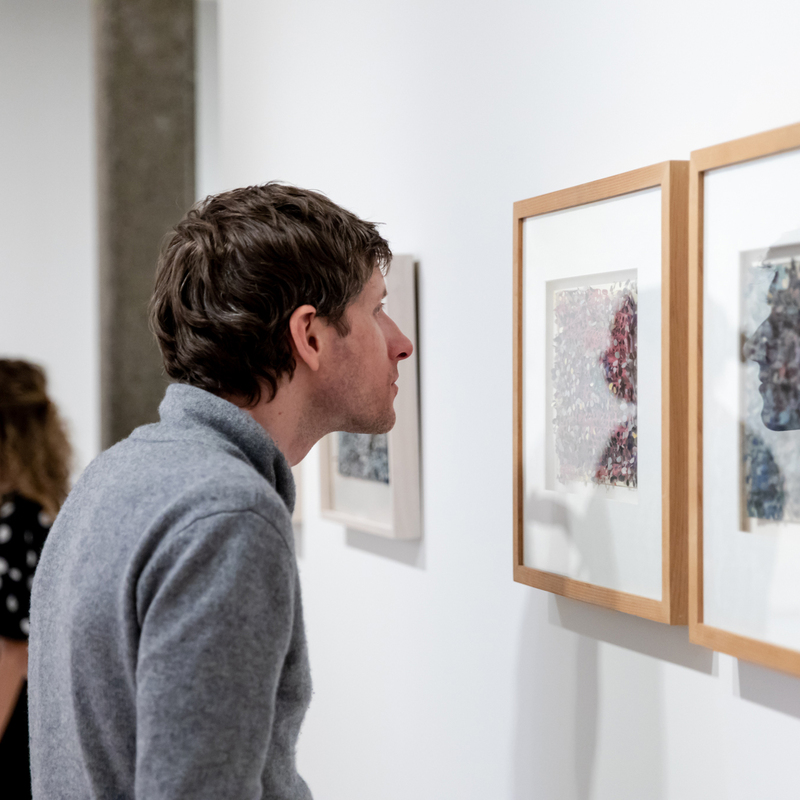 Join us from 5-7 PM and explore the critically-acclaimed exhibition "Howardena Pindell: What Remains To Be Seen." 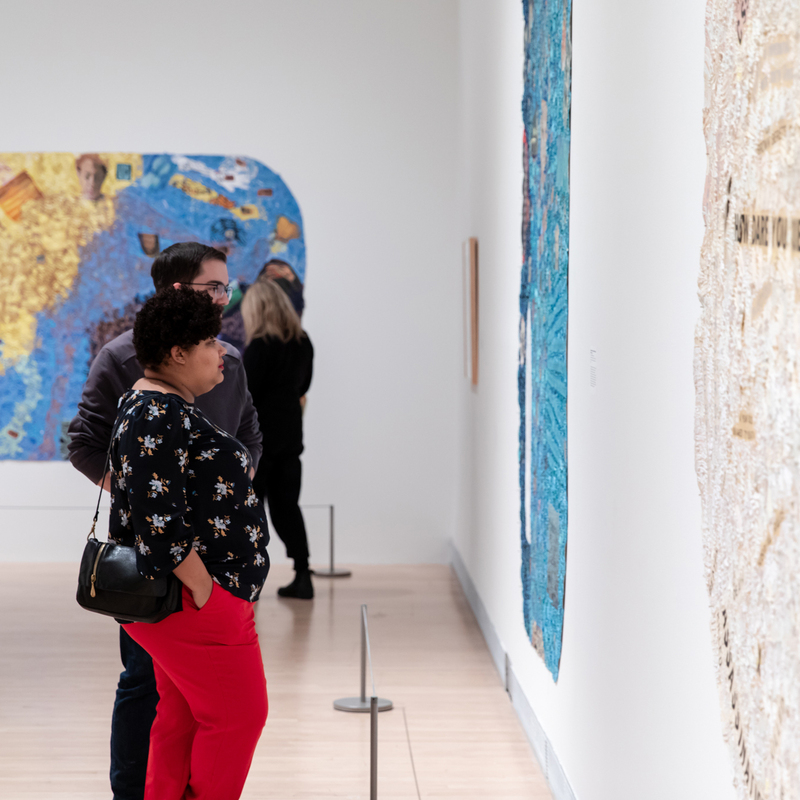 May 18, 2019, 2 p.m.
Join Assistant Curator Caitlin Julia Rubin for a walk through the exhibition Howardena Pindell: What Remains To Be Seen. Howardena Pindell, Memory Test: Free, White & Plastic (#114), 1979-80. Cut and pasted and painted punched paper, acrylic, watercolor, gouache, ink, thread, nails, mat board, spray adhesive and plastic on cardboard, 20 7/8 × 20 7/8 in. (53 × 53 cm). Metropolitan Museum of Art, New York, Arthur Hoppock Hearn Fund, 1980. (1980.150). Image copyright © The Metropolitan Museum of Art. Image source: Art Resource, NY. May 18, 2019, 5 p.m. - 7 p.m.